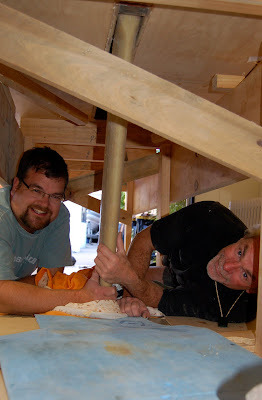 My friend Simon came and lent a hand to dry fit centreboard Wanted to make sure it fits prior to putting floors in. All went fine. Pretty heavy. May get a winch to raise it. Small job. 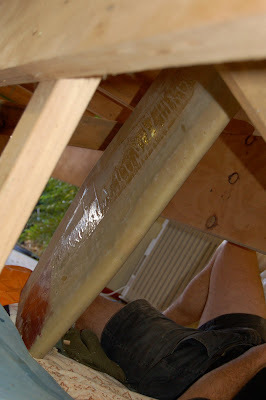 Epoxied nuts and washers into inside of lower rudder cheeks. Bolts are coated in Mold release. Tomorrow will remove bolts and assemble rudder cheeks.